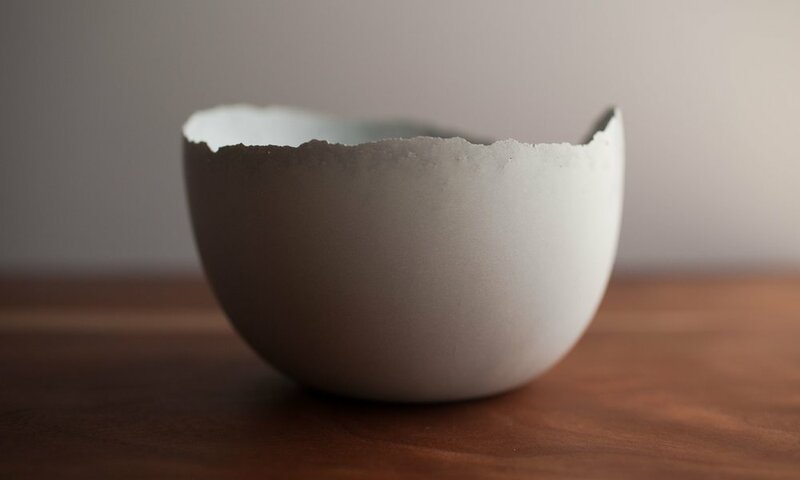 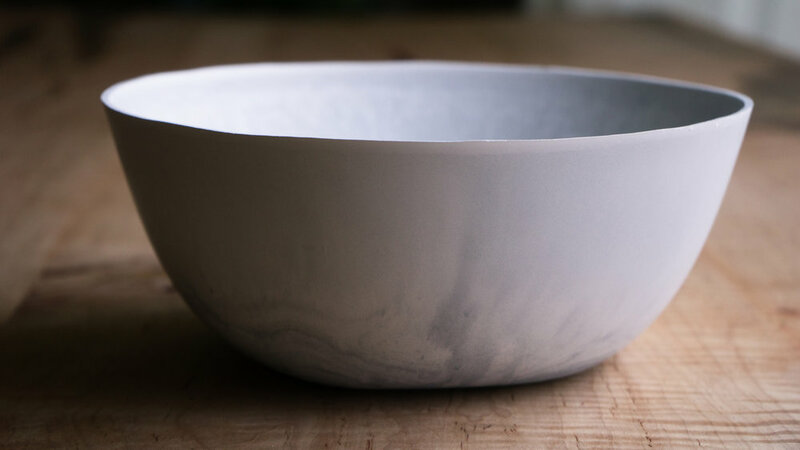 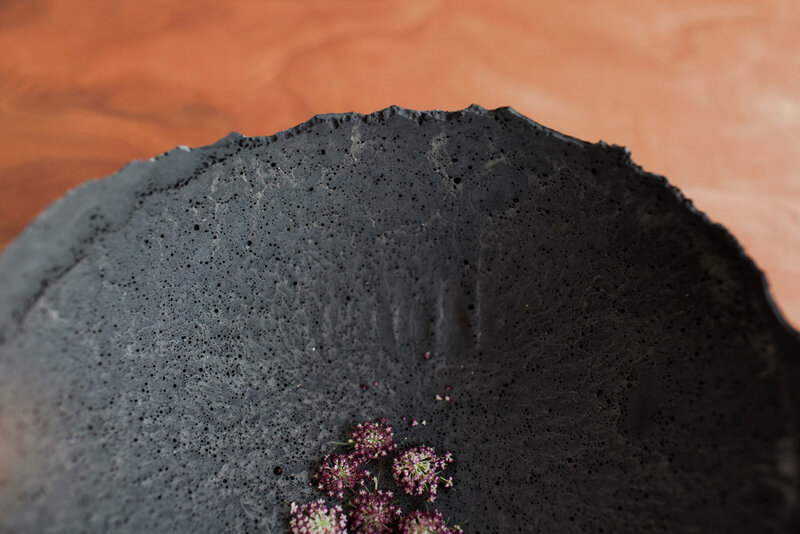 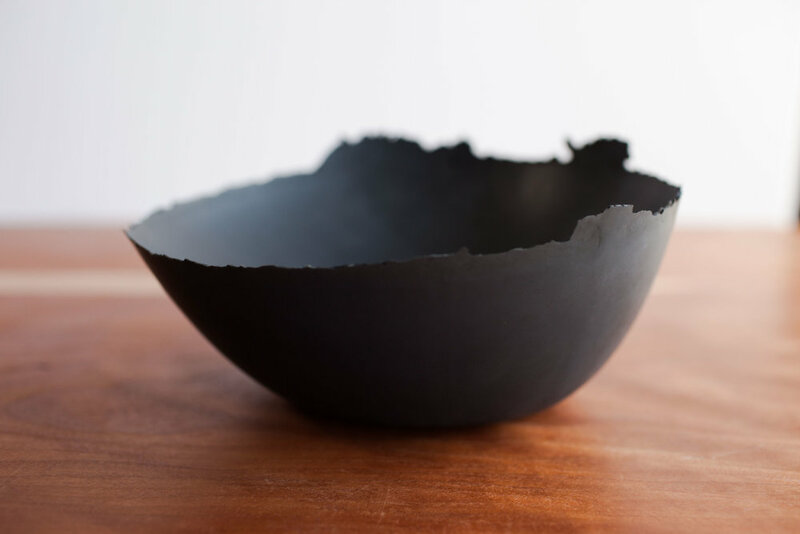 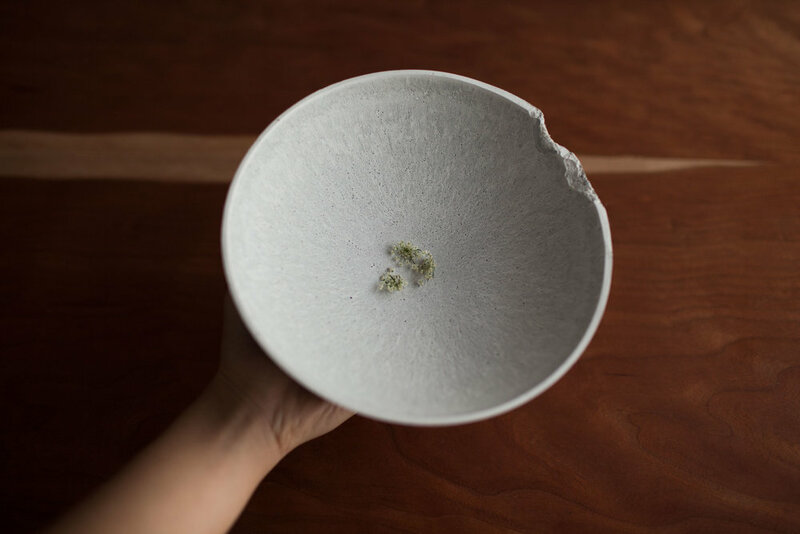 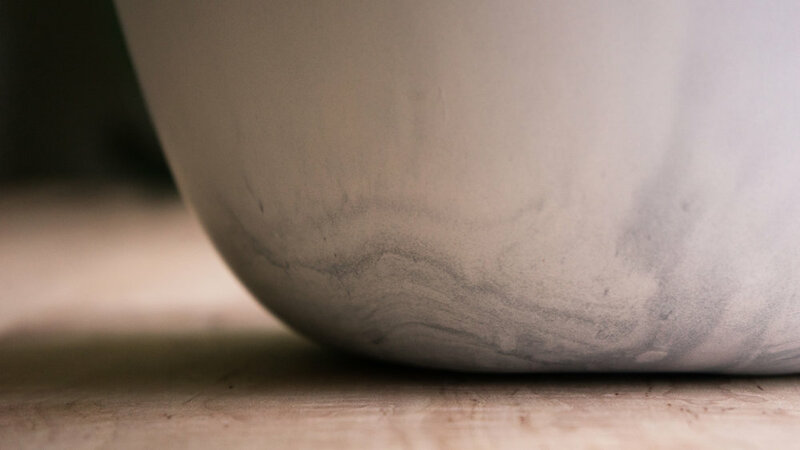 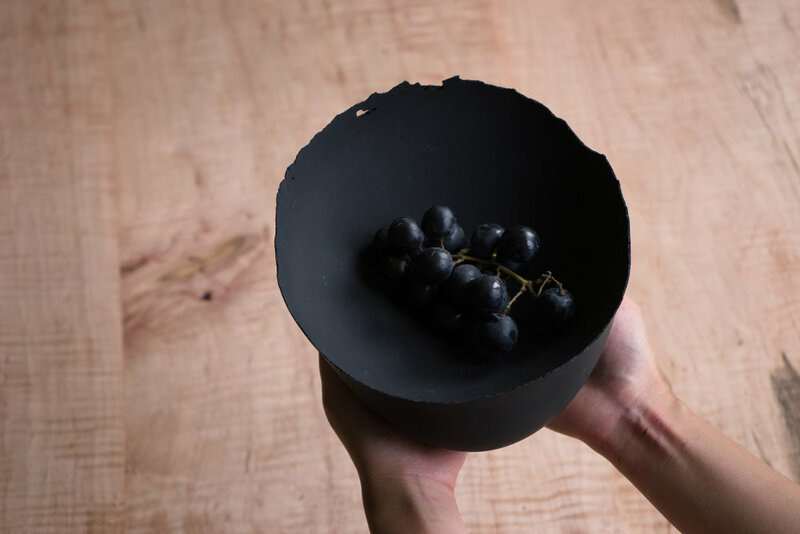 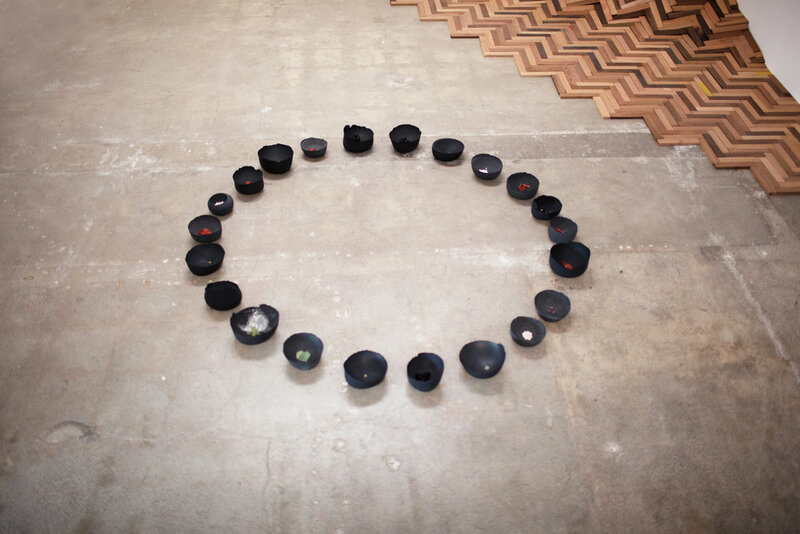 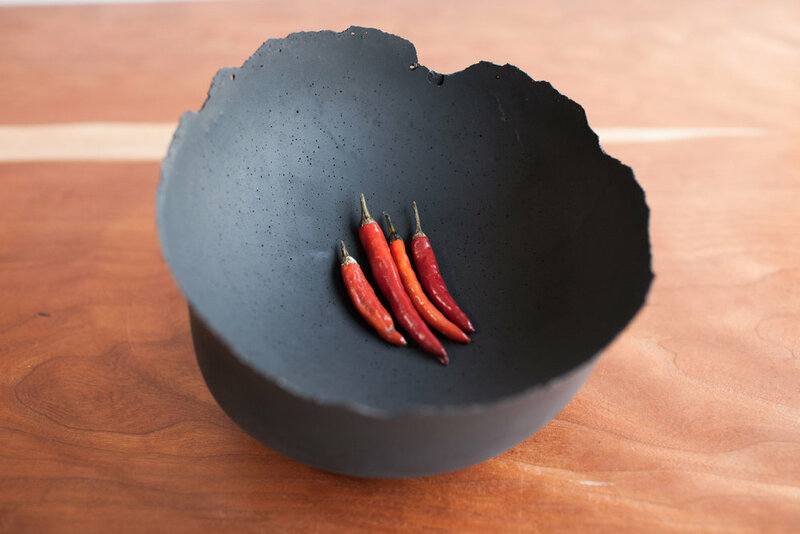 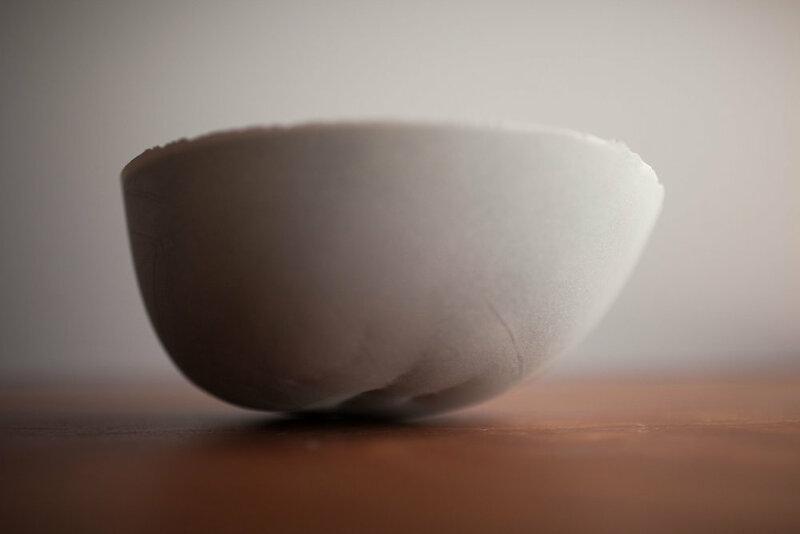 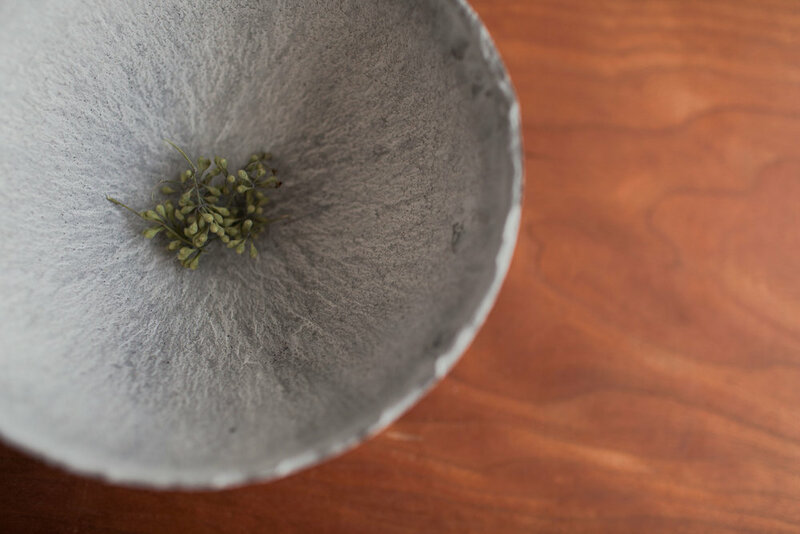 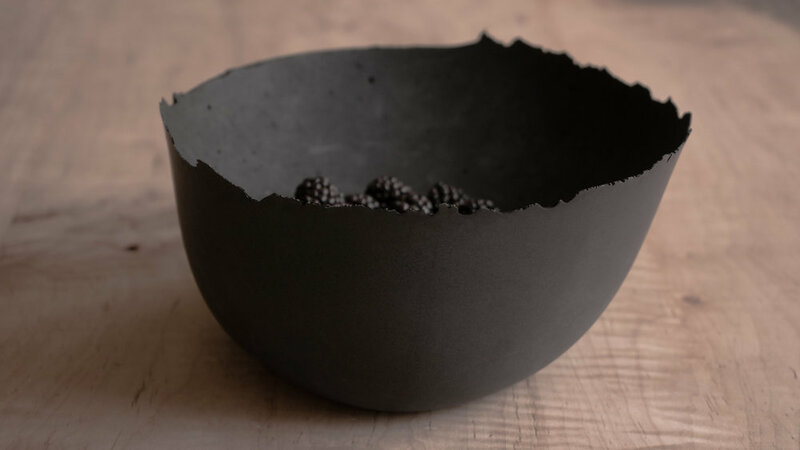 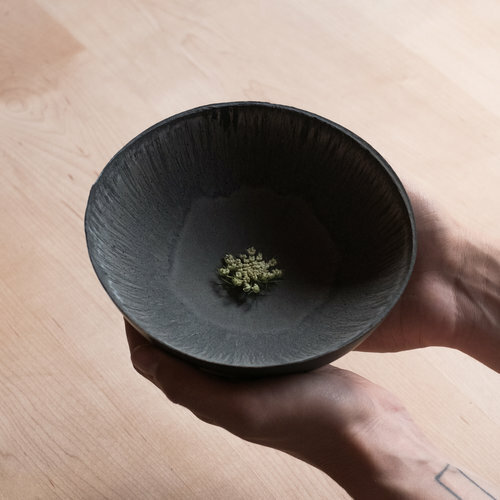 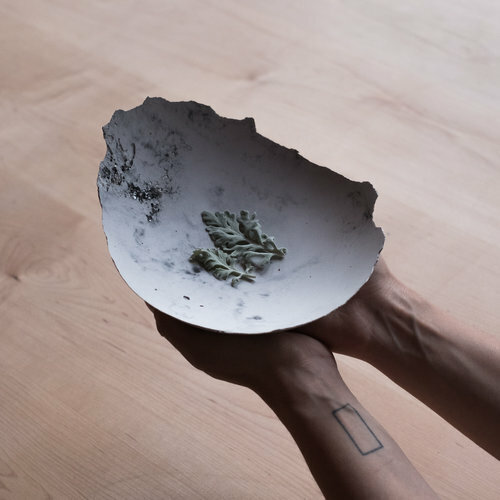 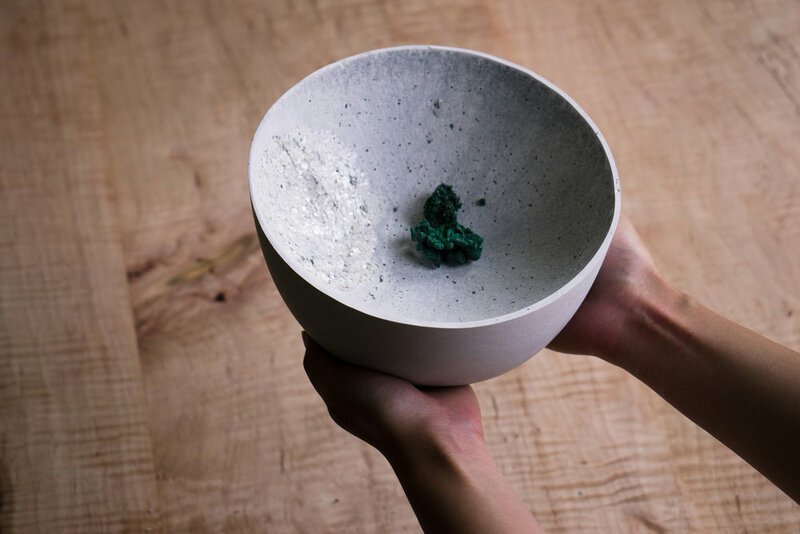 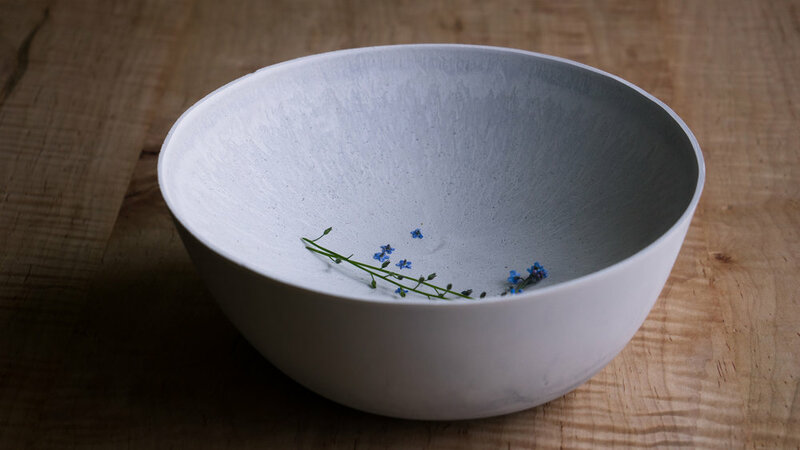 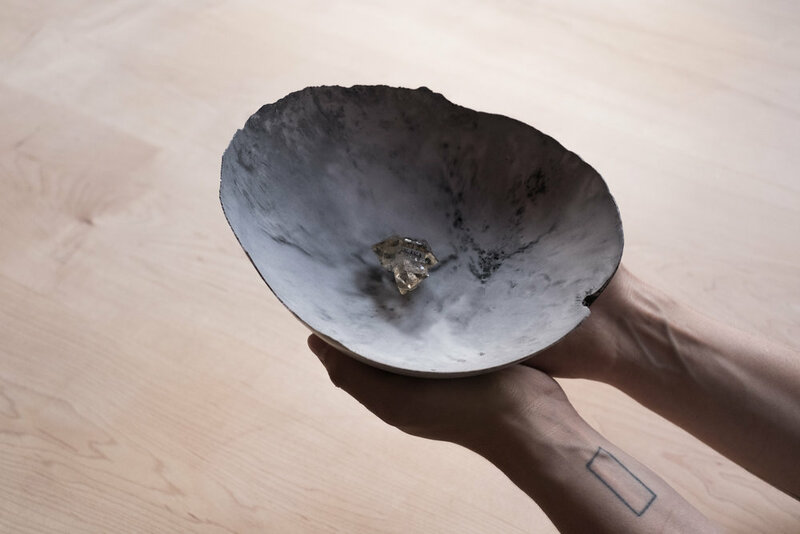 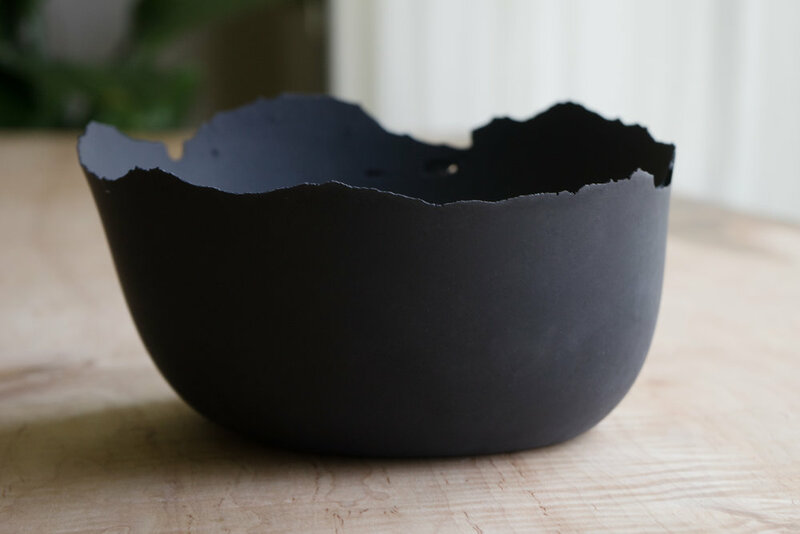 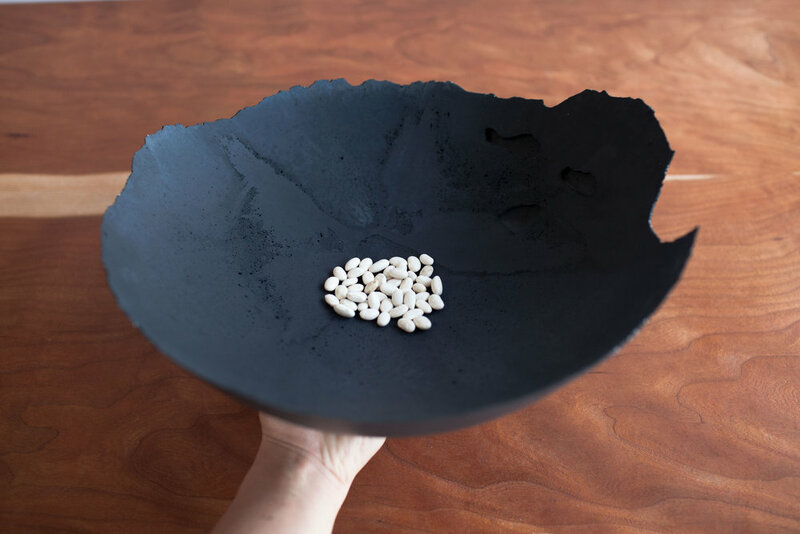 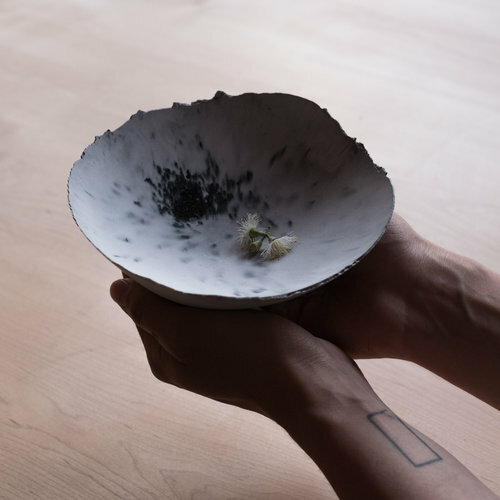 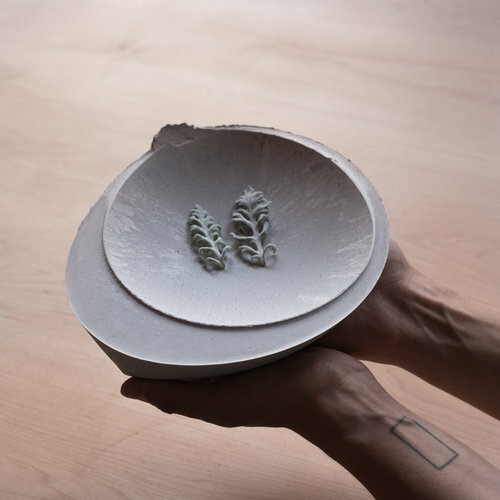 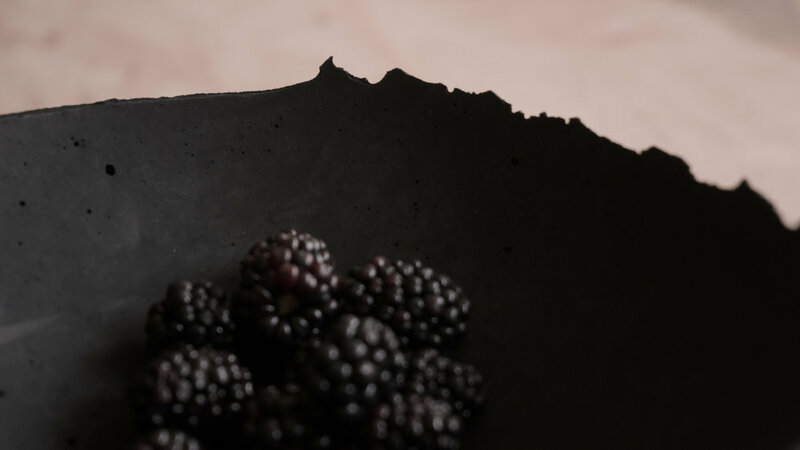 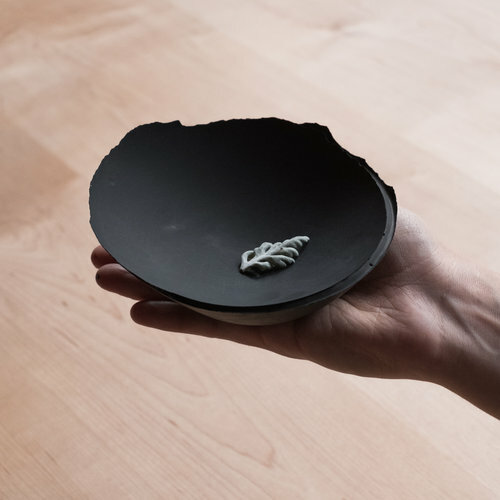 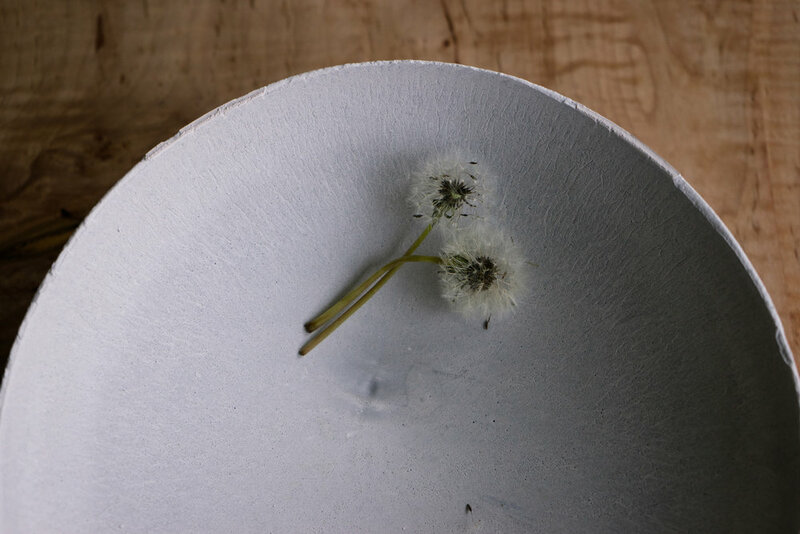 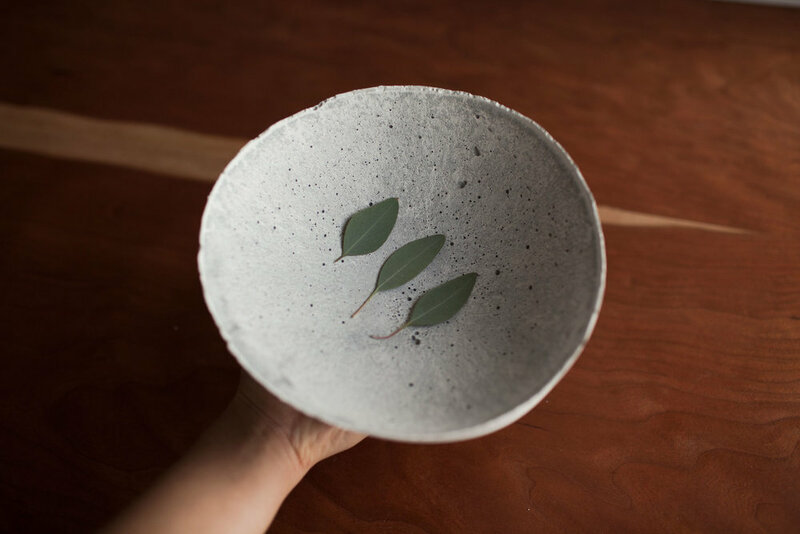 A collection of 104 unique bowls, the Concrete Series expresses the tension between heavy concrete and its delicate edge generated by hand pouring. 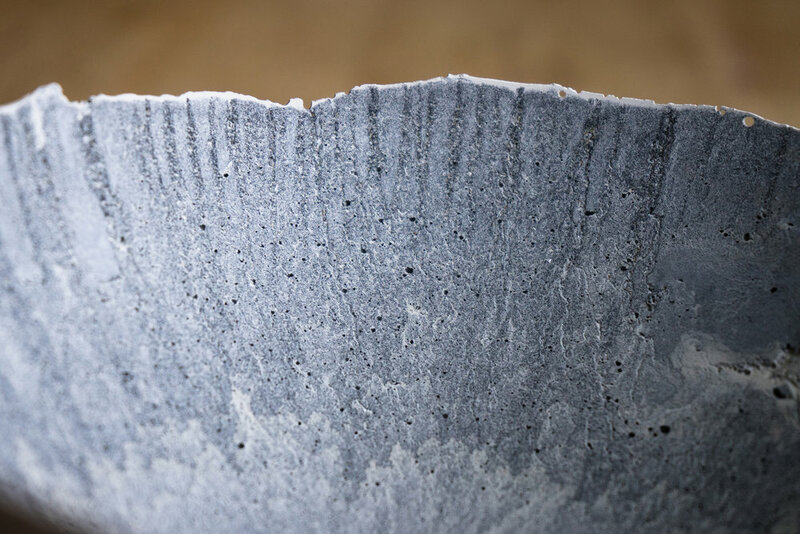 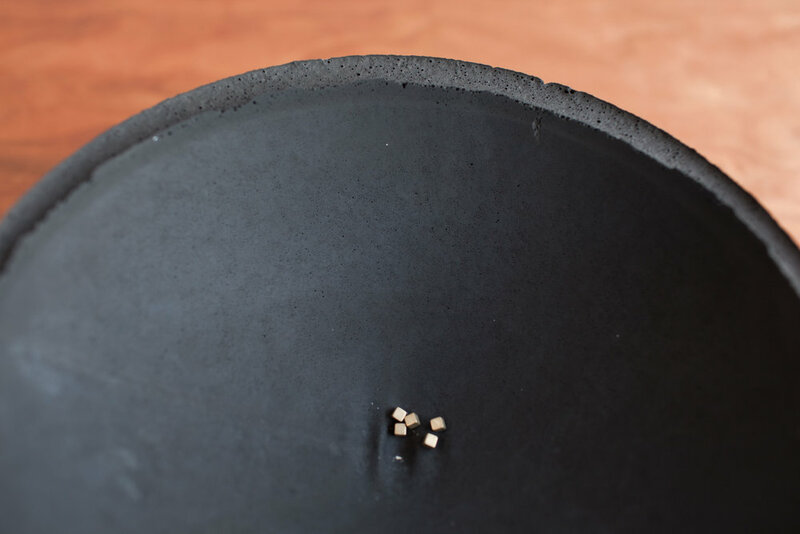 While one assumes concrete should be strong and durable, it is at its core, fragile. 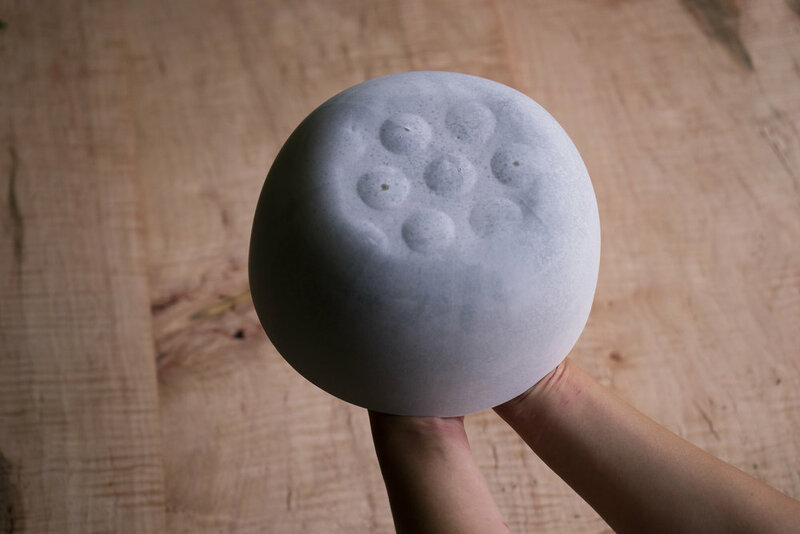 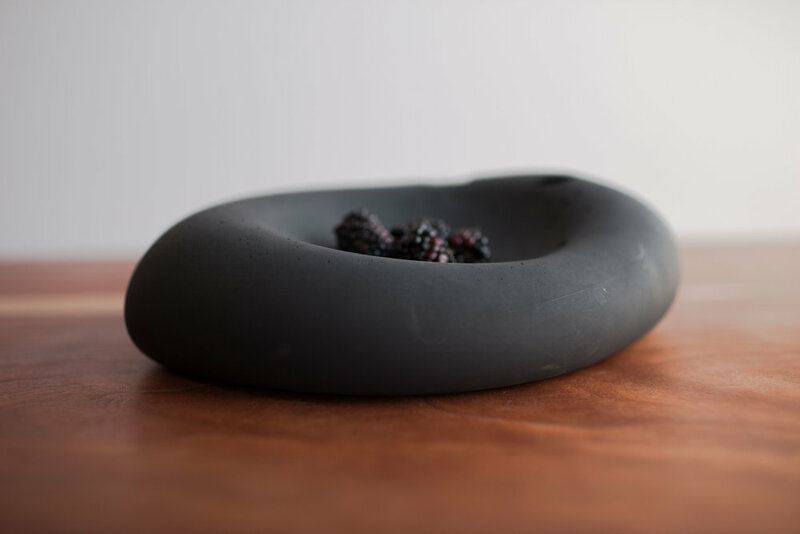 This duality invites touch and contemplation, making it the perfect vessel for daily inspiration and display. 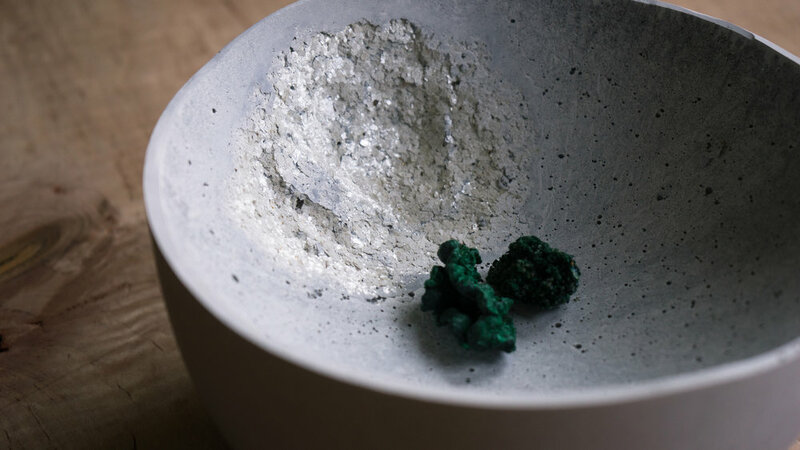 Each cast is a unique piece. 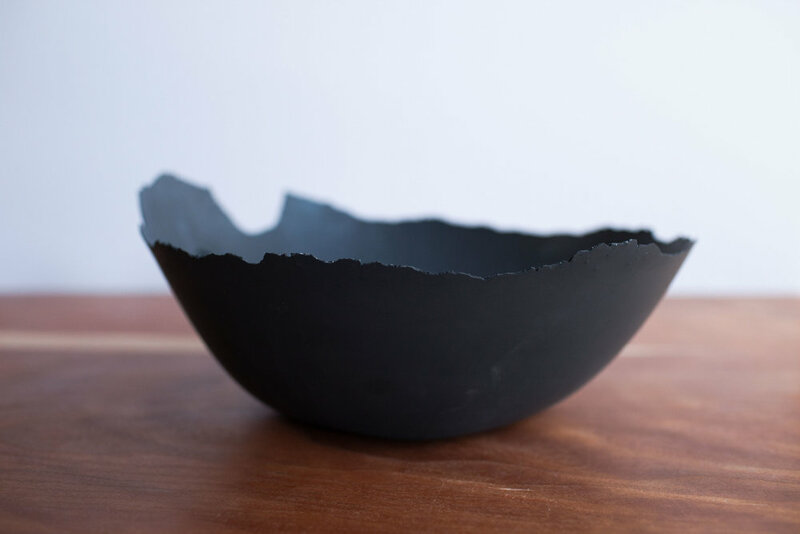 Items are inherently fragile and should be handled with care and kept away from liquids. 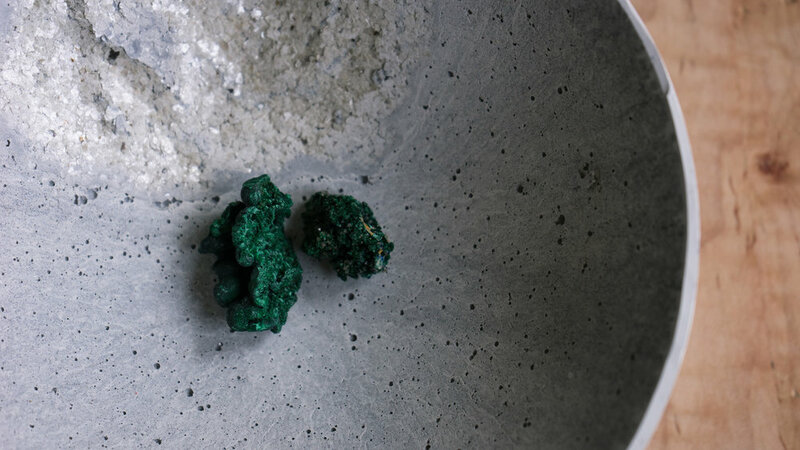 MATERIAL: Concrete, Micah, Natural Pigments.